Maybe the summer season is over, but I'm still holding onto some prints and styles that say warm weather. 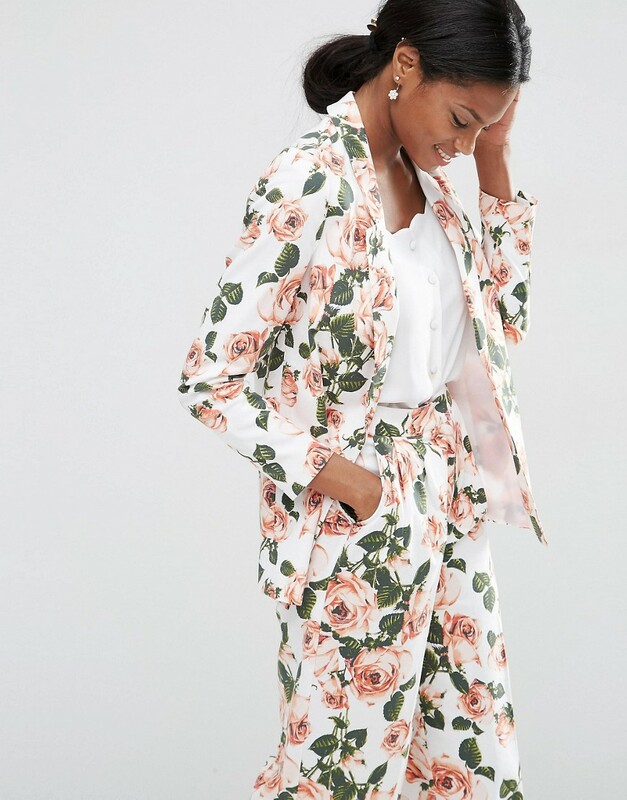 I'm talking florals. 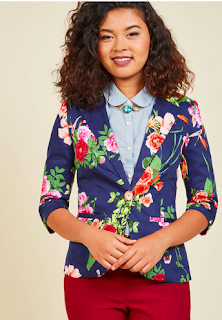 While I'm not wearing a dandelion sundress to work, I can still have some fun with floral in other ways. 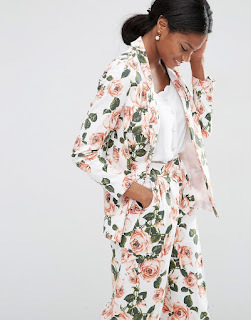 I really love playing with a standard blazer because its an expected 'business-like' piece but a floral blazer? Now we're talking. 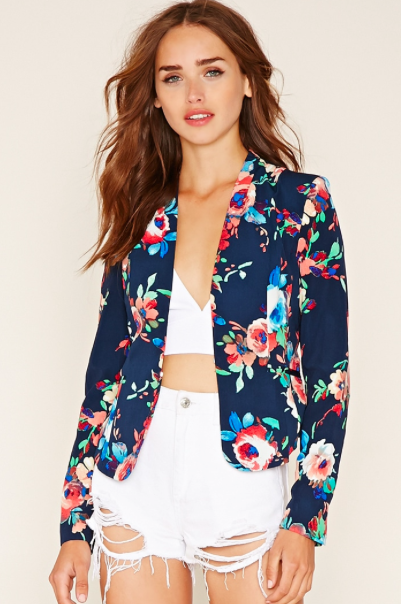 Ok, so I'm not sure what's happening underneath this blazer (not much) but I love the colors of this blazer! I love red, black, and white for a classic power outfit. Hello lovely! 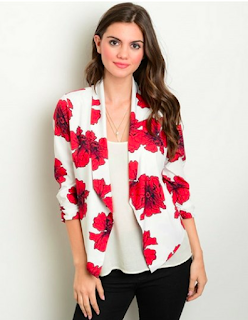 I love this blazer to ankle pants, denim, or a pencil skirt. A great cropped look that would pair well with a button down, a tee, or a silk tank. 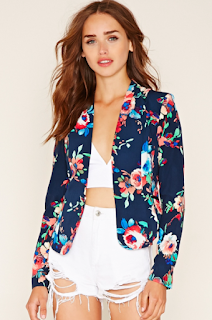 While a navy blazer is a classic and versatile piece, I think you may be surprised how interchangeable a floral blazer really is!